This twinkle twinkle little star garland which consist of Glitter blue, metallic gold and glitter silver is sure to make any space feel festive! Whether it is for holiday decoration, special occasion, or home decor, these sparkling stars will not go unnoticed. Perfect for birthdays, baby showers, weddings, bridal showers and more! This twinkle twinkle little star metallic gold and silver garland is sure to make any space feel festive! Whether it is for holiday decoration, special occasion, or home decor, these sparkling stars will not go unnoticed. Perfect for birthdays, baby showers, weddings, bridal showers and more! 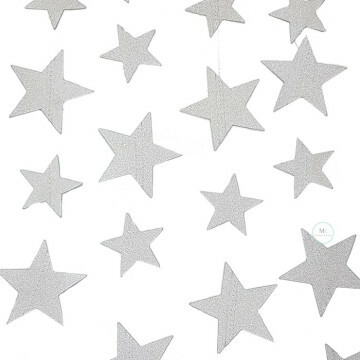 This twinkle twinkle little star silver glitter garland is sure to make any space feel festive! Whether it is for holiday decoration, special occasion, or home decor, these sparkling stars will not go unnoticed. Perfect for birthdays, baby showers, weddings, bridal showers and more! 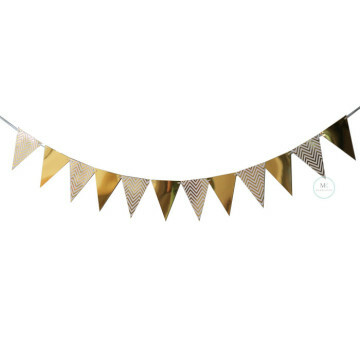 This twinkle twinkle little star gold glitter garland is sure to make any space feel festive! Whether it is for holiday decoration, special occasion, or home decor, these sparkling stars will not go unnoticed. Perfect for birthdays, baby showers, weddings, bridal showers and more! This stars garland is a super fun, beautiful and inexpensive way to dress up a party or perhaps decorate a baby nursery. 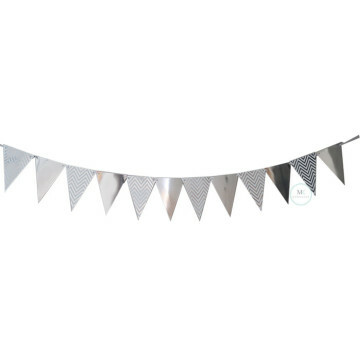 Pretty decorative party flag garland in alternate shiny Silver foil & chevron patterned. Great accent for any sophisicated or glamorous celebration. 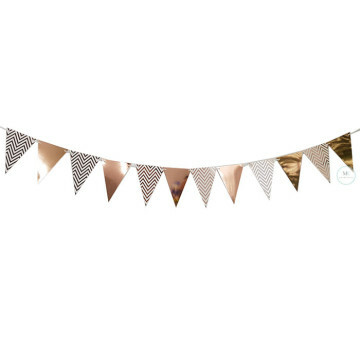 Pretty decorative party flag garland in alternate shiny Rose gold foil & chevron patterned. Great accent for any sophisicated or glamorous celebration. 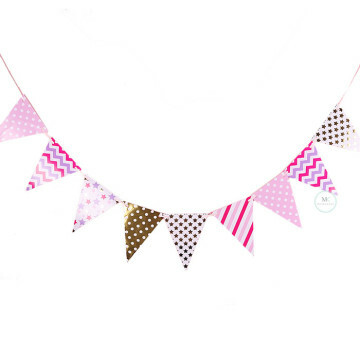 Pretty decorative party flag garland in alternate shiny gold foil & chevron patterned. Great accent for any sophisicated or glamorous celebration. 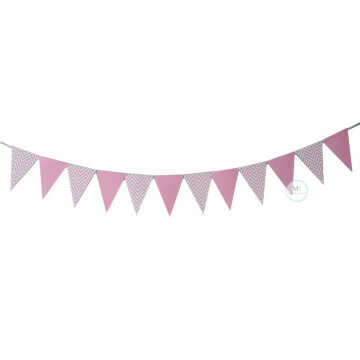 Pretty decorative party flag garland in alternate Pink & chevron patterned. Great accent for any sophisicated or glamorous celebration. 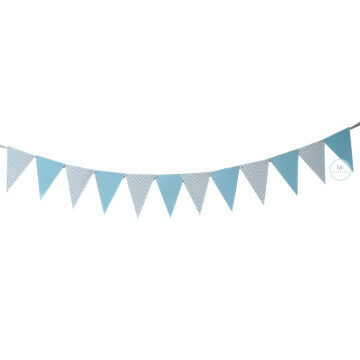 Pretty decorative party flag garland in alternate blue & chevron patterned. Great accent for any sophisicated or glamorous celebration. 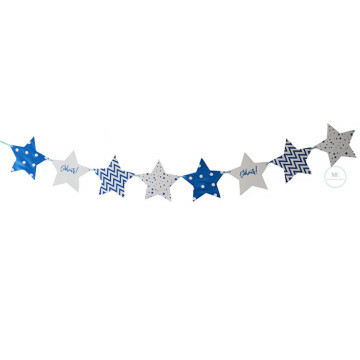 Make your celebration sparkle when you drape this Blue Star Banner on the wall, mantel or staircase. Perfect for Wedding, birthday, baby shower  and other celebration decor or as a photo prop.